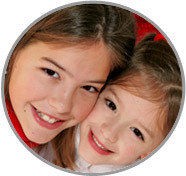 Guarantee a safe and fun summer for your children by hiring a Cumberland County Summer Nanny through ABC Nanny Source! Alyssa is a wonderful Cumberland County Summer Nanny and any family would be lucky to have her provide care for their children! Please call 717-221-1020 today to speak with a placement counselor and start your search for the perfect Cumberland County Summer Nanny!